You'll be £12.99 closer to your next £10.00 credit when you purchase Napoleon. What's this? 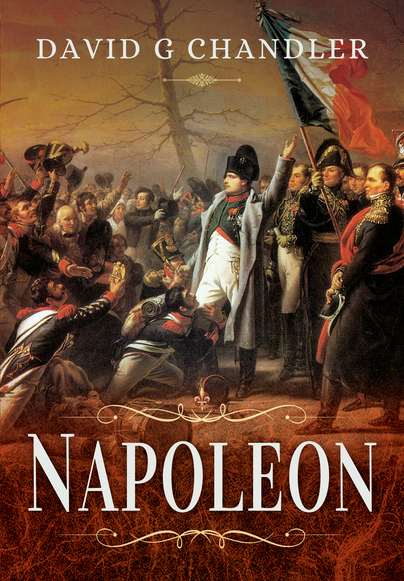 Reprinted due to popular demand, this classic biography traces Napoleon's career from his youthful days of Corsican nationalism; to the introduction to French warfare at Toulon, and his phenomenal rise to power through the military machine, when, at the age of thirty, he became the de facto ruler of France. Dr David Chandler retells in a lively narrative, the soldier-genius's hard-fought battles at Marengo, Austerlitz, Jeana-Auerstadt and Friedland, the Spanish encounters, the Russian campaign and Waterloo.